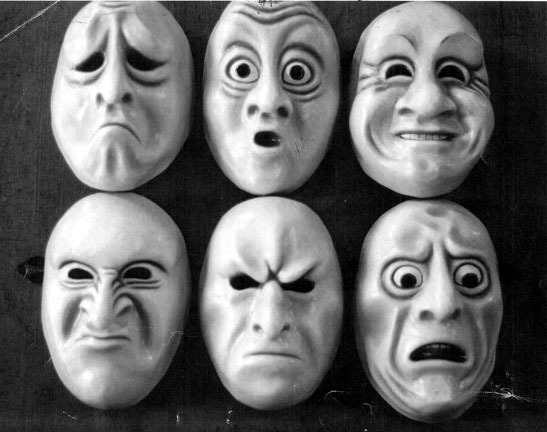 As we move farther away from rational /emotional dualism–a tough habit to break–psychobiological research is increasingly focusing on the development and role of emotion in the brain. In the second video social psychologist Dacher Keltner discussess the evolution of emotion with a focus on Darwin’s principle of antithesis, which attempts to illuminate the role of body langauge in the matrix of human emotion. Both of those videos are short (less than 10 minutes total), but the last one is a full-scale lecture from neuroscientist Jaak Panksepp, called: “Ancestral Memories: Brain Affective Systems, Ancient Emotional Vocalizations, and the Sources of Our Communicative Urges.” Panksepp’s book, Affective Neuroscience: The Foundation of Human and Animal Emotions, is the definitive textbook for the field of affective neuroscience. Settle in with a beer or two for this one. I was amused that the second speaker equates weakness with modesty!